Maisons-Lafitte is a smart suburb of north west Paris. Excellent transport links make it an ideal base from which to reach the French capital. 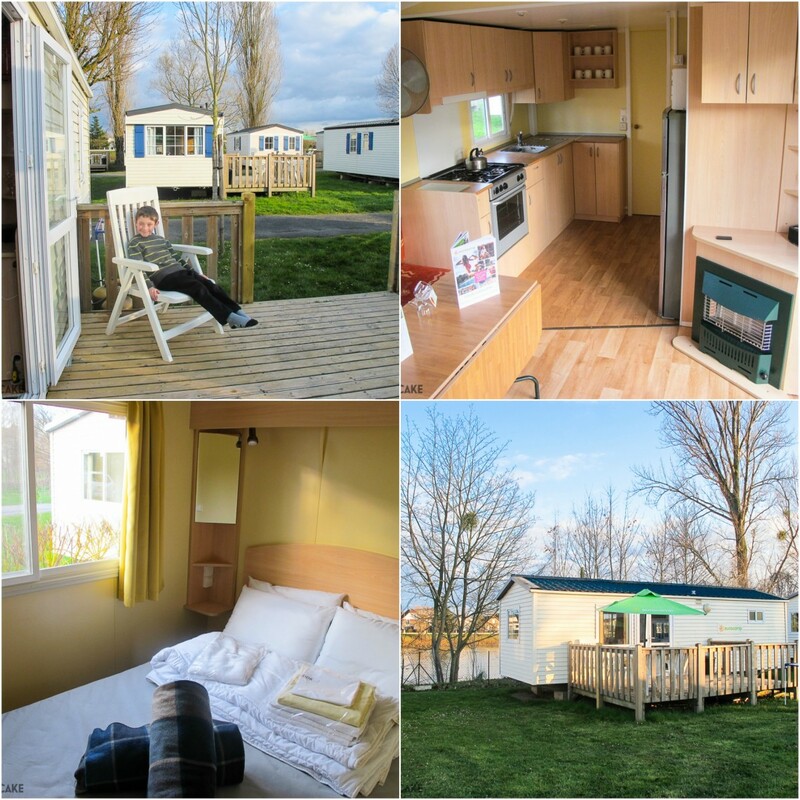 We were guests of Eurocamp at Camping International Maisons-Laffitte holiday parc over Easter weekend. Eurocamp can organise cross channel ferry crossings as part of your booking so we opted to travel by car. Reaching Maisons-Laffitte from Calais by road takes around 2 hours 40 minutes approaching from the north west without needing to drive through central Paris. You can park for free immediately next to your mobile home rather than worrying about hotel parking charges or finding somewhere safe to leave your car on the street. Alternatively you can arrive by train with easy connections at RER Chatelet-les-Halles for Eurostar at Gare du Nord or Charles de Gaulle Airport. Maisons-Laffitte is around 3 RER stops further out than La Defence in north west Paris. 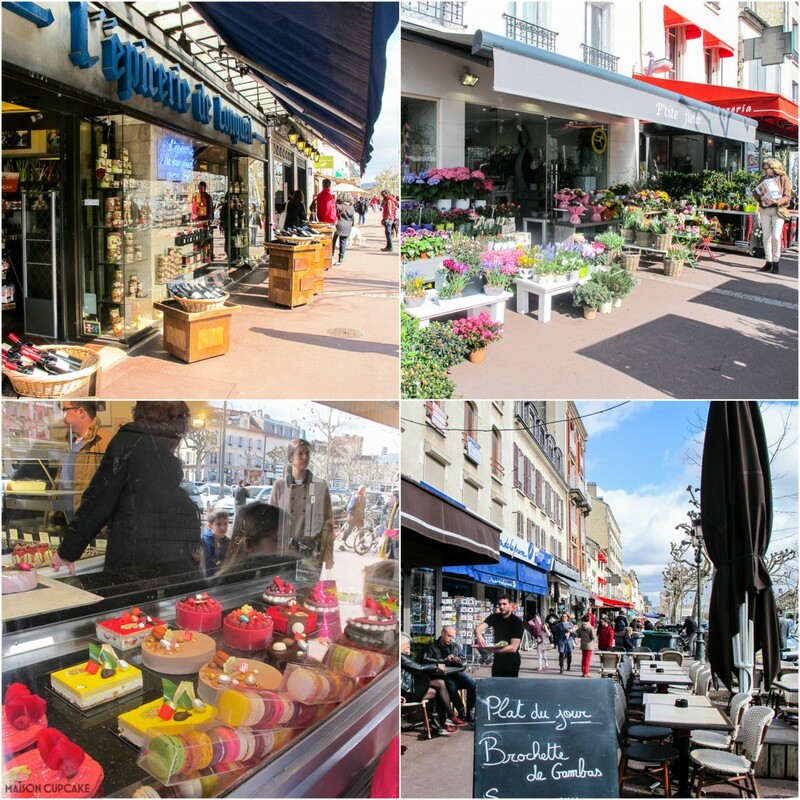 Forget what you’ve heard about the Paris banlieu , Maisons-Laffitte is a chic neighbourhood with a good selection of shops and services on the doorstep. If you’ve stayed out late in central Paris, the walk between the train and the holiday parc is a twenty minute stroll through residential streets rather than running the gauntlet through a dodgy looking estate. This is a friendly safe environment to bring your family – on a par with staying somewhere around London such as Kingston or Richmond. 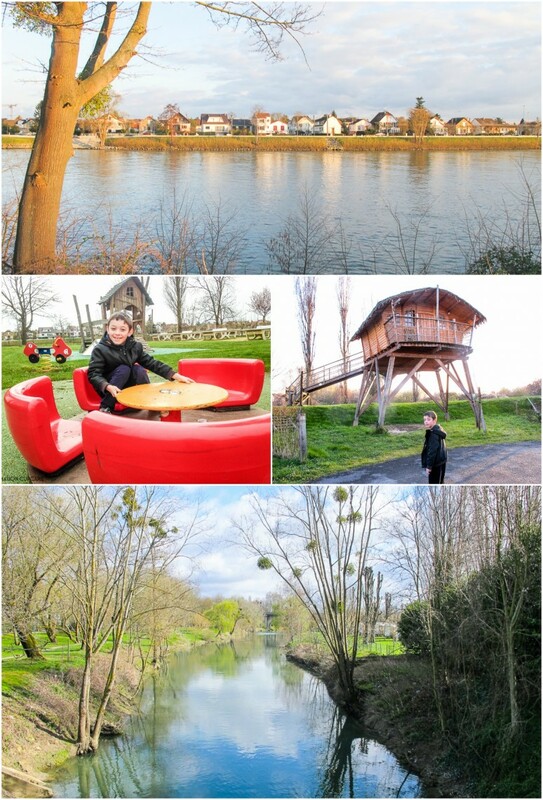 The holiday parc is located on a slither of island on the river Seine in a quiet residential area. You drive over the bridge to where the English speaking Eurocamp staff (ours were actually British) will welcome you to your mobile home. There’s a separate Eurocamp reception that’s open all day with books and toys to borrow as well as local information and a message book to contact the staff (if they’re not there at that moment). Our accommodation was a 2 bedroom classic mobile home with a deck. Bed linen and towels are available to hire – especially useful if you are arriving by air or train and need to cut down on luggage. These extras work out roughly £10 per person. Inside is equipped with a cooker, fridge freezer and gas heater. Blankets are also provided although being chilly so early in the season we were glad to have brought our own ones in addition to this. The gas heater does a good job of heating the space when it is on. You get a full inventory of cooking equipment and plates etc although on this occasion we intended to eat out every day apart from breakfasts. But you have sets of plates, glasses, cutlery etc and various saucepans and serving dishes to equip yourself for a full self catering holiday. We are dab hands at doing this in summer – see my Dinner With Crayons post about “cooking on caravan holidays“. Whereas some French firms can be quite neurotic about checking inventories and cleaning procedures on departure, Eurocamp is much more relaxed than this whilst still being efficient. On a busy site it can be a nuisance having to report back to reception on your first morning with a checklist confirming every single coathanger and fork is present. And I’ve been on some French sites where the staff enter the mobile home with plastic bags on their feet scrutinising for fingerprints on the walls. Thankfully our Eurocamp staff just said to let them know if we needed anything that wasn’t already there and to empty our rubbish and strip beds on departure. On the wide part of the river, large barges chug past now and again with a reassuring hum. Overall though, the Seine is much quieter at this point in comparison to the Thames near Kew Gardens or Hampton Court. So it feels very quiet indeed but for the distant rattle of RER trains around a quarter of a mile away – which Ted enjoyed watching go past. The holiday parc is a surprisingly rural setting yet under 20 minutes’ walk from the nearby town. This particular holiday parc doesn’t have its own swimming pool although there were ping pong and basket ball courts. In any case, our interests were more concerned with visiting nearby Paris. Onsite there is a well stocked supermarket and a restaurant. In main Maisons-Laffitte high street around twenty minutes’ walk away there was a decent size convenience store (Casino) and a bigger Super U a few minutes’ car drive in the other direction. Walking and bike rides in and around St Germain Forest (think Epping Forest near London – the area has a very similar feel). Visit the Maisons-Laffitte chateau – around 20 mins walk. Visit Palais du Versailles – around 30 minutes’ drive. Visit Disneyland Paris – around 75 minutes direct by RER train to Marne La Vallée. 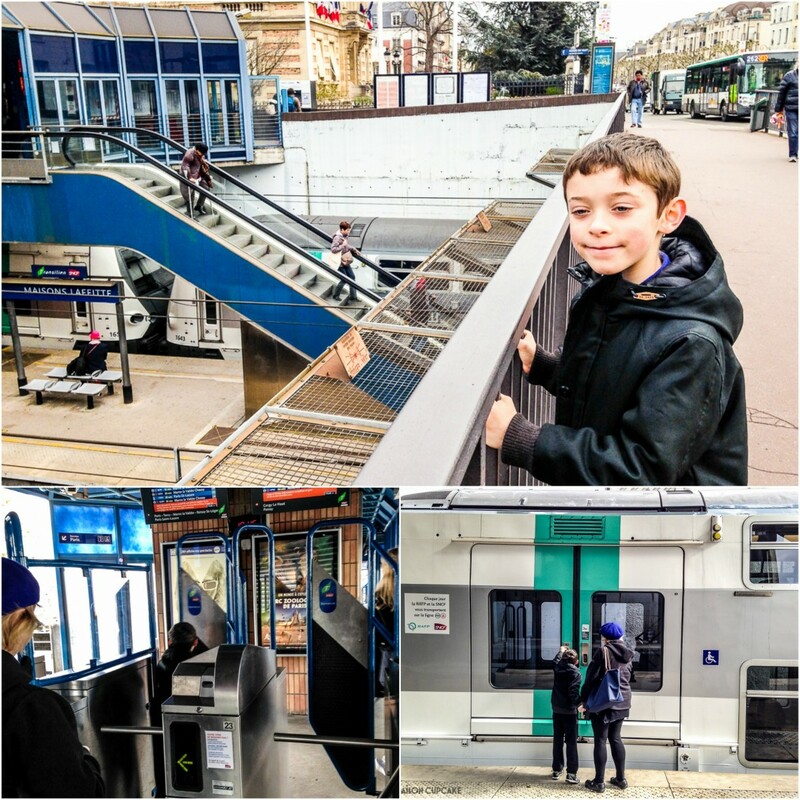 Easy access to Paris – around 25 minutes direct by RER train to Châtelet Les Halles. Services run roughly every ten minutes during the day and every twenty minutes later at night. Last trains are around midnight. The station is around 20 minutes’ walk from the holiday parc. Maisons-Laffitte is outside of the main Paris Metro area but well within the high speed regional RER network. Much to Ted’s delight, several of the five RER lines use double decker trains. One day train passes valid for both RER and Metro will cost around 10€ per day for adults and 6€ for children. Carnet tickets are only valid in central Paris zones so the day pass is best option if you’re making more than one journey. The ticket machines take card payments and have a button to display the directions in English. Journeys from the holiday parc to central Paris took around 50 minutes door to door. 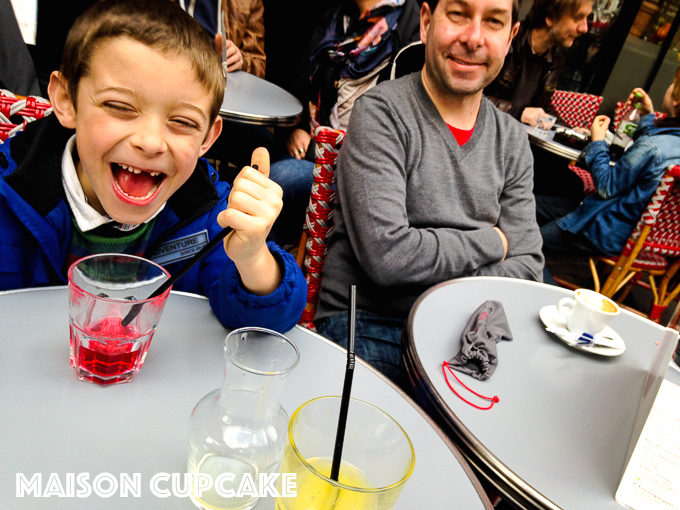 With thanks to Eurocamp for organising our trip to their holiday park at Maisons-Laffitte. A long weekend off season with ferry crossing would have cost around £300. For further information about booking visit the Eurocamp website. What a fab holiday idea, I would have discounted Paris as too expensive, but this seems such a fun and cost-effective way to explore it. Fab! It looks like such fun! My kids would love to go and stay at Eurocamp – plus it’s nice that there are so many nearby excursions you can take. Oh it sounds like the perfect location for me, Paris so nearby and easy to get to but without the seediness of staying in the centre, or tiny bedrooms. Going to have to look into it now my kids are not tiny. Plus if those patisseries are not far away, I’m there! !